View More In Travel Wallets. ◆3.Great for party,Daily,Beach,I am sure you will like it! ◆Size:S _ Bust:100cm/39.4" _ Sleeve:60cm/23.6" _ Length:95cm/37.4"
◆Size:M _ Bust:105cm/41.3" _ Sleeve:61cm/24.0" _ Length:96cm/37.8"
◆Size:L _ Bust:110cm/43.3" _ Sleeve:62cm/24.4" _ Length:97cm/38.2"
◆Size:XL _ Bust:115cm/45.3" _ Sleeve:63cm/24.8" _ Length:98cm/38.6"
◆Size:XXL _ Bust:120cm/47.2" _ Sleeve:63cm/24.8" _ Length:98cm/38.6"
◆Size:3XL _ Bust:125cm/49.2" _ Sleeve:64cm/25.2" _ Length:99cm/39.0"
◆Size:4XL _ Bust:130cm/51.2" _ Sleeve:64cm/25.2" _ Length:99cm/39.0"
◆Size:5XL _ Bust:135cm/53.1" _ Sleeve:65cm/25.6" _ Length:100cm/39.4"
◆Clothing Asian size is usually 2 yards smaller than US / EU / UK, please compare carefully before ordering. ◆Please allow 1-2cm measuring deviation due to manual measurement. ◆Please check the Size Chart before order. If you are not sure the size, please send message to us. 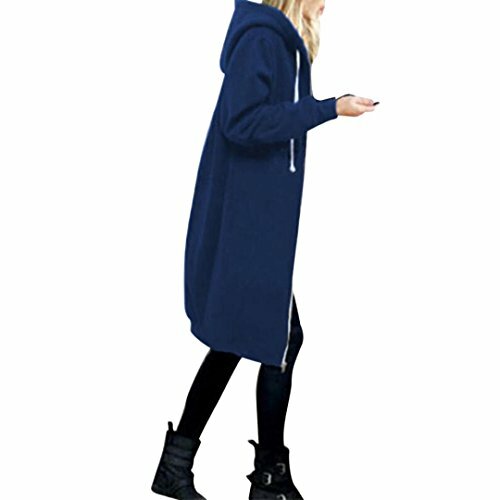 What you get: 1*Women Coat ; Clothing Asian size is usually 2 yards smaller than US / EU / UK, please compare carefully before ordering. If you have any questions about this product by LLguz, contact us by completing and submitting the form below. If you are looking for a specif part number, please include it with your message.